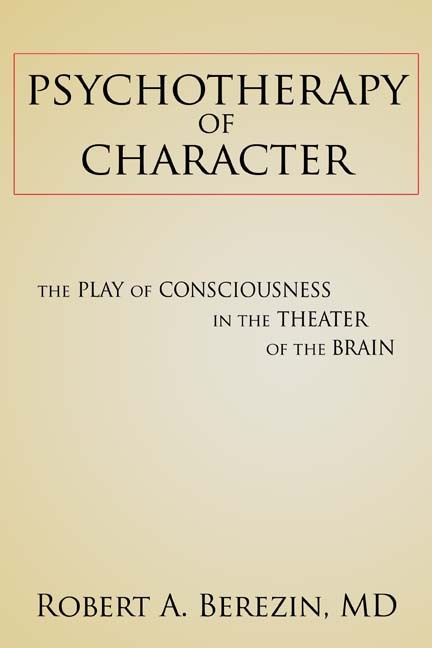 Update on “Psychotherapy of Character, the Play of Consciousness in the Theater of the Brain” – Robert Berezin, M.D. 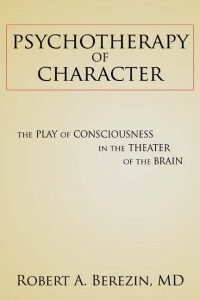 “Psychotherapy of Character” is now in publication. I have the author’s copy in my possession. In two weeks it will be accessible right here on “www.robertberezin.com”, and all the online bookstores. If you have a sense that drugs are not the answer. If you are tired of the destructive direction and misleading promises of the DSM-5, and the pharmaceutical industry. If you have the intimation that human struggle, and your struggle and pain is a human problem, not a brain disease; if you are a therapist, or a patient, or a person who is questioning, or just a general interest in human nature – then this book is for you. Through the life story of my patient, Eddie, and his psychotherapy, the book presents a new and inclusive paradigm that encompasses the neuroscience and biology of consciousness, the human condition, child rearing, and child development, as well as psychotherapy. The book is written as a narrative for a general audience as well as for professionals.